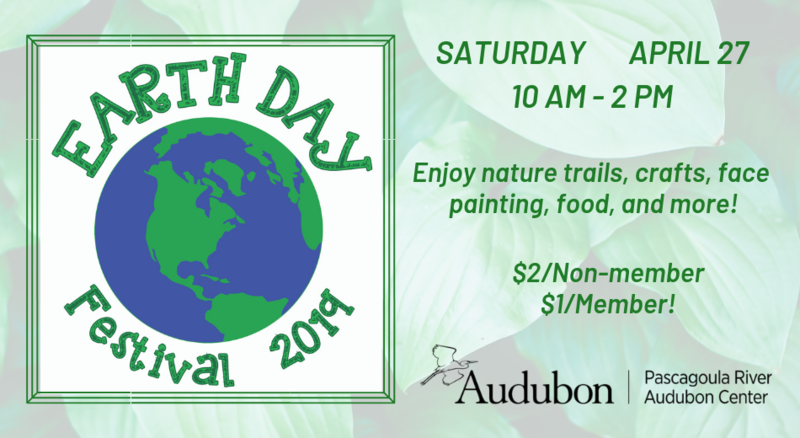 Come on out and celebrate Earth Day at the Pascagoula River Audubon Center! We'll have kid-friendly crafts (including a tie dye station, so bring $5), local groups highlighting beekeeping and native animal rescue, recycled craft activities, a food option, and much more! We will have many gift shop items on SALE too! Admission for our Earth Day Celebration is $2/person for non-members or $1/person for members.